Georgetown Preparatory School is an independent Jesuit college-preparatory school for young men grades nine through 12. Founded in 1789 by America’s first Catholic bishop, Georgetown Prep is the nation’s oldest Jesuit school and the only Jesuit boarding school with a student enrollment of 435. In May 2005, Georgetown Preparatory School began two major construction projects: new state-of-the-art athletic and learning centers, which dramatically enhanced the school’s academic and athletic facilities, and a luxury student housing complex. 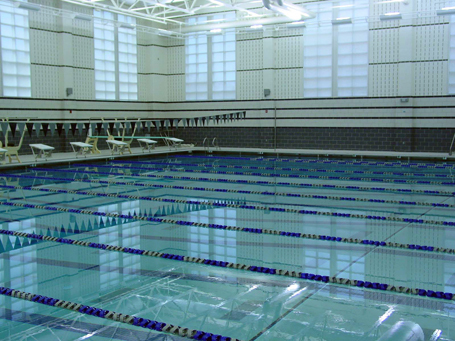 Counsilman-Hunsaker designed the world-class natatorium, consisting of a 25-yard competition pool with 10 lap/fitness lanes. Other programming spaces in the athletic center include a 200-meter indoor track, 6,000 sq. ft. weight training and fitness room, 1,000-seat competition basketball gym, wrestling room, expanded locker rooms, coach offices, and an athletic hall of fame. The project also included rebuilding the golf course and athletic fields as well as constructing new roads around the campus.